(Bloomberg) -- West Virginia is suing Volkswagen AG for deceiving car buyers after the EPA said last month that the company had installed software to hide that its diesel engines exceeded pollution standards. Attorney General Patrick Morrisey seeks restitution for Volkswagen customers, who he says paid as much as $6,855 extra for cars with the clean diesel engines, plus $5,000 in civil penalties per violation of West Virginia’s consumer protection law. There are about 2,684 Volkswagen vehicles registered in the state that have diesel engines with the software to cheat emission tests, according to the complaint filed Friday in Kanawha County Circuit Court. While diesel-engine vehicles with the "defeat device" software complied with U.S. and California standards in tests, the software switched off emissions controls on the road to improve performance, generating pollution at levels as much as 40 times the limit. The EPA estimates that 482,000 of the 11 million vehicles made with the device were sold in the U.S.
Volkswagen faces a criminal probe in Germany and also by the U.S. Justice Department, as well as a joint investigation by at least 45 states under environmental and consumer-protection laws. California has since started its own investigation, too. More than 229 lawsuits -- with claims for billions of dollars -- have been filed as class actions in federal courts in at least 37 U.S. states. The automaker is accused by car owners of inducing them to pay more for their vehicles. 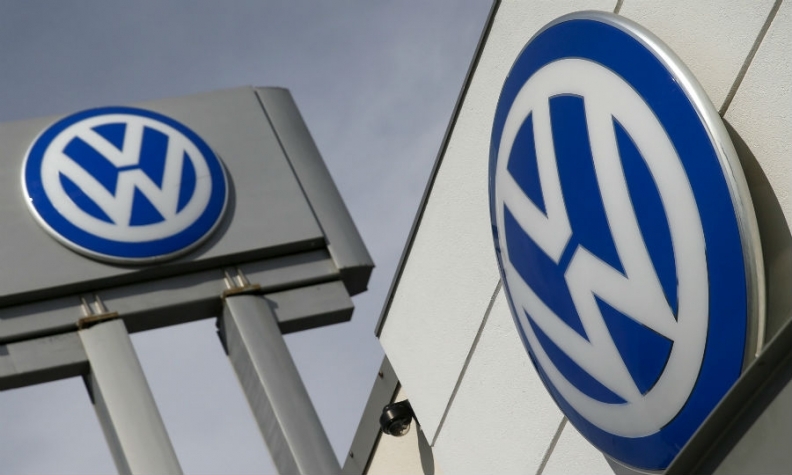 Volkswagen spokeswoman Jeannine Ginivan didn’t immediately respond to an email after regular business hours Monday seeking comment on West Virginia’s lawsuit. The Texas county that includes Houston was the first government agency to sue the German carmaker. Harris County is seeking $100 million for excess pollution from the vehicles.